LOS ANGELES, CA – August 28, 2013 – Eric Edson, author of the scriptwriting book The Story Solution: 23 Actions All Great Heroes Must Take, knows that creative screenwriting and TV scripting can be much more difficult than they appear. He advises up-and-coming television writers to learn as much as possible about their chosen industry before tossing their hats into the television game. To learn about the TV writing side of the industry, Edson advises aspiring authors to seek advice from experienced TV writing consultants. A consultant can help writers learn how to write within the time constraints of the television medium, determine what buyers are looking for in characters, and demonstrate how to sell a spec TV script to producers. Eric Edson reviewed several leading TV writing consultants worthy of consideration as part of an industry newcomer’s advisement team – Ellen Sandler, Jen Grisanti and Michele Wallerstein. 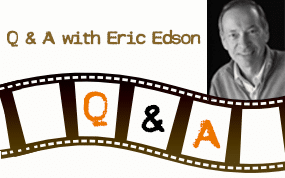 As an accomplished educator, author, and screenwriter, Edson believes these consultants have valuable insights to offer. 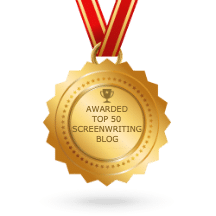 If a person wants to succeed in the television writing industry, it is imperative for aspiring writers to seek the help and advice of reliable consultants/ mentors. These TV writing consultants can greatly hone writers to master and in vibe the demanding yet fulfilling craft of TV writing. Through this article, aspiring TV writers can realize the great need to seek the assistance of experienced TV writing consultants. Thank you Eric Edson for sharing this. Finding skilled and credible writing consultants can be difficult because there are many options to choose from. Thanks Eric Edson for providing a short list of consultants who are to be trusted. I know that hiring the right writing consultant is very crucial as it can dictate the success or demise of you script.